So I have been out of commision a long time! I gave up baking for awhile as I seriously needed to cut back on all the sweets! However the baking bug has bitten me again in the form of my new favorite blog the Smitten Kitchen. Seriously check this blog out- its awesome. Deb is the greatest foodie- her witty stories along with her recipes make all her posts endearing and her amazing pictures make me want to bake pretty much everything on the site! HOwever in this post I am finally posting a cake from the best cookbook of ALL TIME. This is the Magnolia Bakery cookbook. GO out and buy it right now because it is phenomenal. So far everything I have made from it is of course the very greatest thing of all time. For example the cake I am posting about right now: Apple Cake with Butterscotch Cream CHeese Frosting. Now I made my adaptations to this such as I added cinnamon and I used regular cream cheese frosting as I don't really like butterscotch. However my friend Erica and I were talking last night and thought it would be really yummy with Caramel Cream Cheese frosting. I first made this cake for my younger brother's graduation- I was surprised he chose this cake but I am really happy that he did. I had never made a cake with fruit before and it was a really good choice. So on Sunday, when my friend Bryana came in and asked me to bake for her, I ran to Food Emporium in a down pour to get apples for this recipe! It tastes like the most delicious cinnamon bun ever because it is rich and creamy and the apples and cinnamon are an amazing touch. When I made it on Sunday, I topped it with chopped Walnuts- such a good call- it added another taste and texture to the cake and looked nice too- especially considering we were ina hurry to eat it and the layers had not completely cooled- this resulted in the frosting slightly melting into the cake- it still tasted wonderful but it did not look so great hahaha. So go make this cake! I know its bikini season- trust me I have some good healthy recipes a-coming to help this! But its always ok for a splurge and this is the perfect summer party cake! So those of you who know me and know my baking have heard of or tasted my cookies! They are famous and much requested! When I was home a few weeks ago, I made a batch for my brother, but being in England, I did not have all the candy and things I usually put in my cookies, so I decided to go a more gourmet route! The result was delicious- these cookies had the perfect consistency and the perfect ratio of peanut butter and chocolate! This is a great recipe any time you want a more sophisticated cookie! If you are not a peanut butter fan, they are great as normal chocolate chip cookies as well!! Combine eggs, sugars, and butter in a bowl- mixing until smooth. Then combine flour and baking soda cup by cup. Once this is smooth, beat in peanut butter and chocolate chunks. Place balls of dough on baking sheet and bake for about 10 min at 350 F.
The perfect desert for me is a brownie. I love them- I especially love dark chocolate brownies because there really is nothing better to me than a good piece of dark chocolate- except for maybe 16 handles on top. For those of you who have never heard of 16 Handles- it is heaven in a Frozen Yogurt shop, and I pretty much live there! Regardless, I love brownies and last night had a craving for a warm mini brownie covered in chocolate sauce with fresh strawberries- so that is what I had for desert! I got mini muffin pans from my mom and they are so much fun! I will be making a lot of mini cupcakes and such and my new favorite thing is making brownies in the tin! It is good because you have your individual brownie already made up for you and it saves some of the mess from the pan! Preheat oven to 350 degrees. Place muffin cups in pan or grease each cup (Pam now does a special baking spray). Melt stick of butter in microwave. Remove and stir in sugar, eggs, and vanilla. Beat in cocoa powder, flour, salt, and baking powder. Spread batter into prepared pan. While the brownies are cooling melt the chocolate chips, stirring to make smooth and cut up strawberries. Choose your desired piece of brownie, cover in the sauce and top with strawberries! To make this dish less rich, add 1 tbsp fat free whipped topping or a bit of vanilla yogurt or ice cream! This desert is great when the brownies are a few days old as well! I Love stir fry! It is so easy to make, you can throw anything in and it is a cheap and quick meal- perfect for a college student on the go! Whenever I go home, my mom loves when I make my stir fries for her usually as a lunch treat! I tend to use shrimp because I absolutely love shrimp but last night I was in the mood for tofu so I threw some tofu in there instead! I love using a mix of fresh and frozen veggies. A lot of frozen mixes come in pre-mixed Asian stir fry mixes. I used the whole foods 365 one because it had no broccoli and lots of water chestnuts which I love! I also threw in some spinach because I am obsessed with spinach! I am that girl who drunk orders steamed spinach at Coffee Shop at 3 am. Spinach is great because it is low in calories but high in Iron! Many young women are iron deficient, especially in college so it is important to eat foods that contain it! I also usually throw in red peppers which next to spinach is my favorite vegetable! I can eat a whole pepper in one sitting, i just love the crunchy fresh taste! This dish is a great way to get at least 3 servings of vegetables in one go! I used a store bought oyster sauce which is one of my favorite Thai sauces- but i mixed a little soy sauce in there as well because the sauce is very thick! Any sauce will do- sweet and sour as well as teriyaki are great in stir fry! If you are really handy in the kitchen you could make your own sauce, but using store bought saves time and money and it lasts longer! Also I used tofu but any protein works! If you are a meat lover a bit of chopped up steak works great in this, so does chicken, shrimp or just vegetables! Place frozen veggies in a microwave safe bowl and cover. Follow directions on bag for cook time. While the veggies are steaming, brown tofu in sesame oil, once slightly brown, throw in garlic, peppers and spinach. Add 2 tbsp soy sauce here, and then once the other vegetables are ready, throw them in with the oyster sauce. Cook until everything is well coated and vegetables are soft. If needed add more soy sauce! Serve over your choice of rice or noodles or just plain and enjoy!!! I spent a year in Italy,and I love Italian food! The biggest difference between real Italian food and American Italian food is the breading on everything! Eggplant Parmesan is not breaded in Italy.. and this version is delicious and much healthier than the version we are used to! If you like breading, use Panko- which are Japanese bread crumbs and are still healthy! This is also really easy to make and seems much more complicated which earn you points when cooking for friends! It makes a few servings so you can refrigerate and save! Cut Eggplant width wise into about 6-8 pieces per eggplant depending on the size. Cover slices with olive oil and then broil for 3-5 minutes- while they are broiling line the bottom pan of a baking dish with tomato sauce, saving have the can. Once eggplant are done layer the first eggplant slices, cover with both cheeses, and then top with the next 6-8 slices. Cover these with leftover cheese and tomato sauce! Bake on 350 for about 20 min! Garnish with fresh parmesan and serve! This is delicious with pasta such as my Macadamia Nut Pesto. I made that last night for my family and they all loved the combination! I am a junkie for pizza! Unfortunately I cannot eat it as much as I want but I am always looking for ways to make it healthy and delicious!! I made this recipe on a whim, combining my love for pittas and pizza! These pizzas are perfect for lunch or dinner as well as a perfect snack for a girl's night in or a party!! You can also make the sauce yourself if you want to be really gourmet!! For the sauce, sauté 2 chopped cloves of garlic and a little chopped onion (2 or 3 tablespoons maybe) for a few minutes. Then add a tin of tomatoes and reduce it down to a paste sort of mixture – low heat for about 15 minutes – you don’t want it too watery or it will make the pizza base soggy. Pizza sauce- sauce above or pizza sauce- Whole Foods makes a great sauce. I also love Rao's Arrabiata Pasta Sauce- this gives Pizza a great bite!!! Take mini pitas and spoon sauce on each. Layer spinach and cheese on top of pita and cover with tomatoes. Pop the pitas on a baking tray and cook at 350 for 10 min or until cheese is melted! You can also add pepperoni or little bits of sausage if you like!! I have not posted in a while due to those pesky things called exams! While in this state, I baked and cooked up a storm to procrastinate and use up all the supplies in my kitchen! This is actually a recipe I tried during recruitment and on many other occasions when a delicious treat of chips and guacamole is needed! This is a great party dish, study group snack, or any time snack! The guacamole can last up to two days in the fridge! 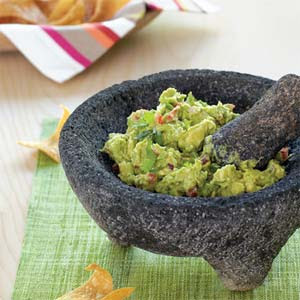 Guacamole is a great dip because it is full of heart healthy avocado as well as veggies such as tomatoes and onions! The tortilla chips are healthier than store bought chips and contain less salt! Plus they are super easy to make, taking only about 15 minutes. Coarsely mash avocados, garlic, and jalapeño with a wooden spoon until the avocados are creamy but still very chunky. Add the tomato, onion, and salt to taste, and stir together. Sprinkle with lime juice and cilantro, then stir and taste once more. Add more garlic, jalapeño, onion, salt, lime juice, or cilantro as desired. Serve with tortilla chips. This is also great as part of a Mexican meal, and the guacamole is great on top of tacos, nachos, and fajitas! I'm Meg, I am a senior at NYU. I am studying psychology, and hope to continue studying either psych or nutrition in grad school! Food is an extremely important part of my life- I frist started baking in middle school I started with boxed mashed potatoes and graduated to cream puffs! Now I bake constantly, eating up blogs and cookbooks like its my job ( I wish it was!) I love the thrill of trying out a new recipe, and to have my friends and family love it as much as I loved making it for them! I also am a big fan of healthy eating and fitness so I will try and impart as much of that as I can on my blog! 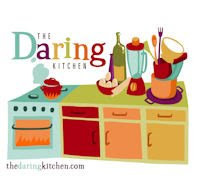 My blog name comes from my persona, I tend to be a little all over the place, and my mom will certainly tell you I am not the neatest baker- so changing the name to my nickname- tornado only seemed right!